Over the course of a few years I’ve been monitoring the second hand parts market and have noticed the increased volume of parts with the corresponding reducing price. I’m referring to parts for the whole Rover 75/ZT production, not just the V8 of which I have a special interest; as a result of the laws of supply and demand I have observed the lowering second hand price range for car parts. The benefit of this is that we can buy things on the cheap and have the ability to obtain parts as and when we need them. But on the other hand, the decline in the number of 75s and ZTs is accelerating, add to this the disparity of the whole car value against the sum of the parts and we are left with an ever-growing decline. This disparity has accelerated the reduction in the numbers, which will continue until the balance has returned. My concern however is that the balance is not going to improve anytime soon due to circumstances which are not applicable to other more modern car makes. The current economic situation and the trend towards driving more efficient cars will play a major factor in the length of the cannibalisation of the Rover 75 and MG ZT. Both these additional factors will, in my opinion, kill off a large part of the car population in a shorter time than in the past with other car populace. The current reduction will eventually result in a balanced market again but with a far reduced car population and perhaps smaller than may have been if the current climate had not existed. This would obviously be a shame but conversely may accelerate the car to classic status with parts produced by the smaller specialist makers, which is what is currently happening with the V8. We are in a period of lower prices and good supply which I would suggest is the next stage of ownership; followed by increasing prices, poorer supply and specialists becoming the norm. 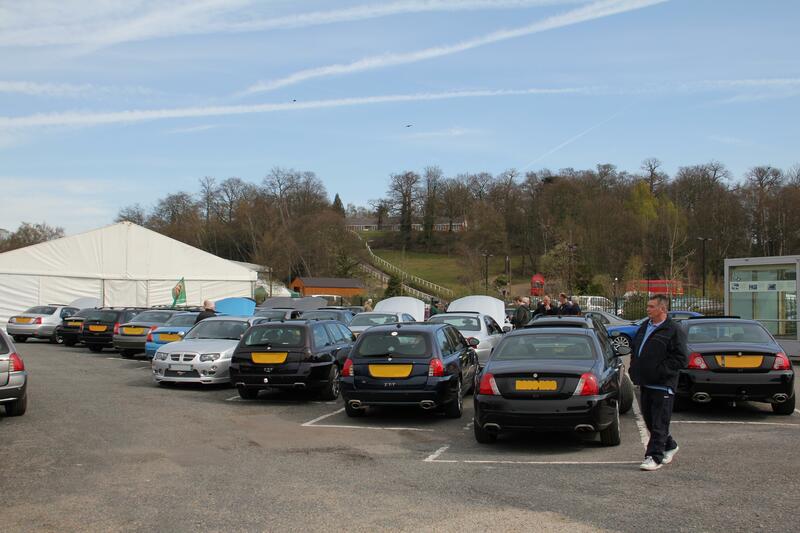 The length of this period is difficult to predict; taking into account the design, quality and the plaudits the Rover 75 achieved during the time MG Rover Group was in business, and since the demise in 2005 with Best Ride Quality from Auto Express in 2006 and Best Used Car Award for family car in 2007. I suggest this next stage is going to be around four to five years with the approximate 238,000 75/ZTs built, the question is; how many are left now? Using Government figures for vehicles currently registered on the roads of the UK, the figure is a surprising low 73,625 which would suggest a total of around 101,025, after taking into account an estimated 20,000 for exports and 7,400 as not currently registered. 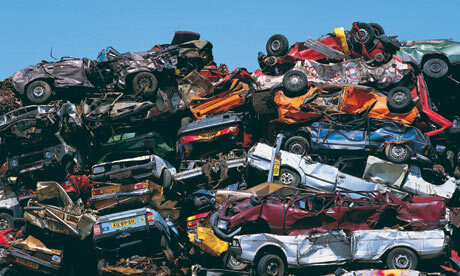 Since the start of production in 2009, 137,000 cars have perished, that is about 12,455 per year. If this decline continues we will see extinction in eight years. In reality however the attrition rate levels off as the car becomes rare with the car enthusiast taking great care in looking after the vehicle. So how do we get to ‘Sainthood’? Simple really, make sure car enthusiast groups survive and flourish, that the car you drive is maintained, used and scrubbed up to look its best. The likes of the classic MGs where there has been good enthusiastic support from clubs over the years means that the long term future of the Rover 75 and MG ZT is assured. We just need to make sure there will be a responsibility to ownership; it’s not just about owning the car. 2000: 28,388 from Cowley then 3,156 when the production line as moved to Longbridge. 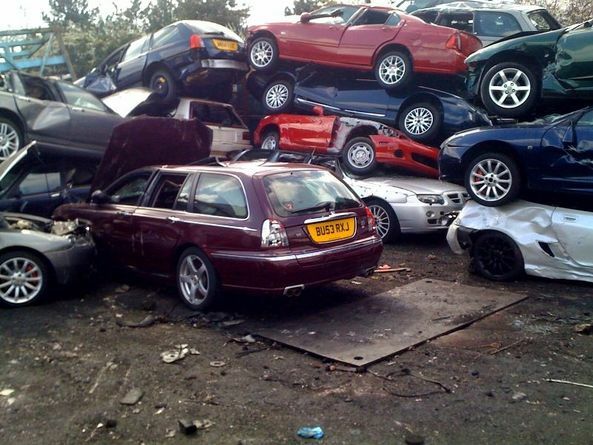 As time goes on the quality of secondhand parts will also get worse due to being older and having covered higher mileages…this could also result in an accelerated decline…equally, as the cars get cheaper many will be less and less well looked after – which may well also have a negative impact…interesting piece Tim. I agree with you re the need for enthusiastic support from the clubs…but that really does mean that more clubs need to do what the 260s is doing in terms of becoming a resource for hard to find parts and setting up practical methods of help for owners….something that really comes from the members initially but then could and should be taken up and co-ordinated by the clubs themselves. Glad to see the 260s is doing just this! This is very true, it is the dedicated owners like us that are the life blood of the MG/Rover owners clubs. But none of the vehicles manufactured in 98/99 are listed. Thanks, Tim, a thought-provoking piece. I think there are two more factors which will influence the future of our cars, especially the V8s. The first – common to all cars of this generation – is the reliance on electronics. With many of these modules impossible to repair the availability of these parts will be critical if we want to keep the cars running. And it will need a new generation of technicians (mechanics is hardly the word any more) to diagnose and deal with these problems. You mention the trend towards driving more efficient cars and I think this could impact us in a couple of ways. Not only will it encourage many drivers – of all the petrol-engined 75/ZT models – to give them up, but we could face tightening environmental legislation as well. Germany has already placed some restrictions on the use of more polluting cars in cities, and France is set to do the same later this year, with the introduction of “ZAPA” zones banning certain vehicles altogether in eight major cities. These will apparently target the oldest diesel-engined vehicles first, but petrol cars with high CO2 emissions could also be at risk. And at 314g/km the 260 is off the scale. Living in central Paris, I don’t reckon my chances of being able to drive my 260 here in five years’ time too highly.